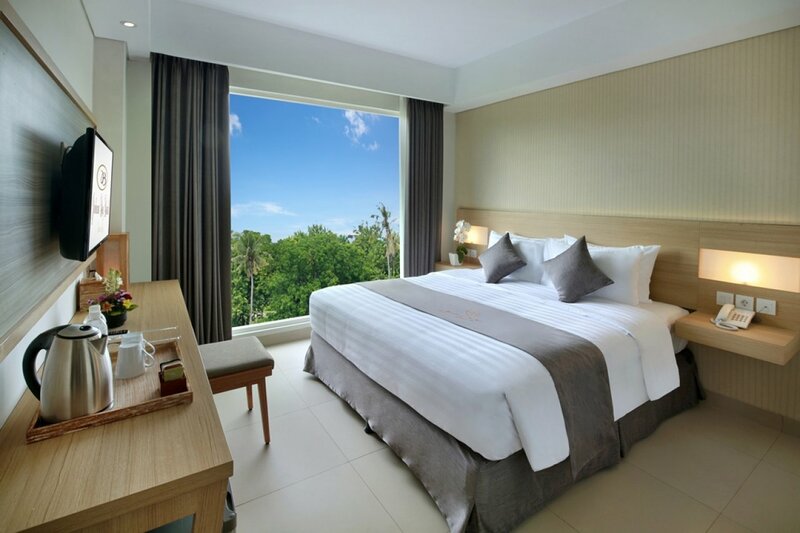 Named after Balinese dances, each of the air-conditioned guestrooms at our hotel in Kedonganan Beach is furnished with a queen-size bed or twin beds, and equipped with a satellite-channel TV, complimentary Wi-Fi Internet access, a laptop-sized safe deposit box, IDD telephone, hair dryer, tea & coffee making facilities, four daily bottles of mineral water, bathrobes & slippers, and mood lighting to create the perfect ambience for a good night’s sleep. 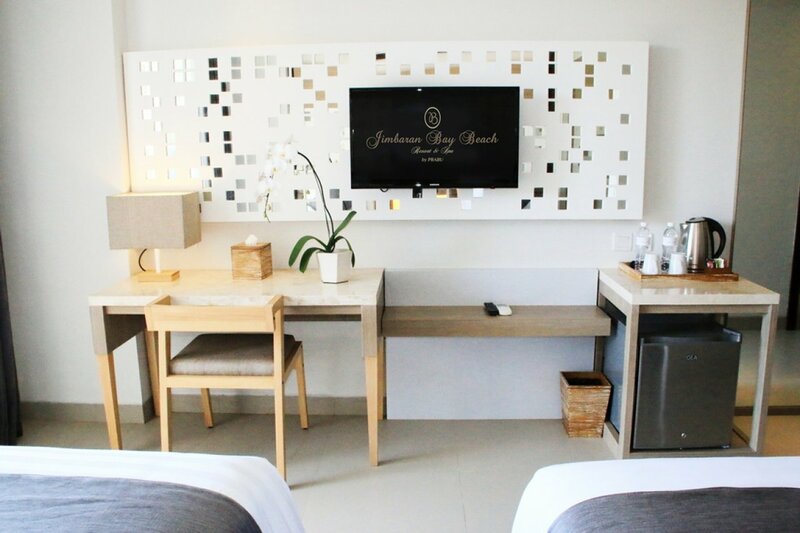 Each stylish ensuite bathroom is fitted with a powerful walk-in rainshower and provided with a thoughtful array of amenities. 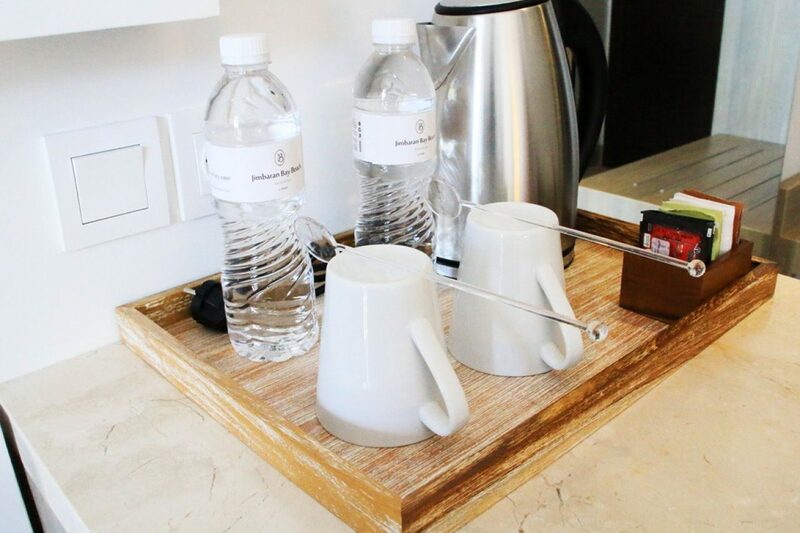 Genuine attention to detail is shown with considerate touches such as yielding pillows and quality bedlinen. 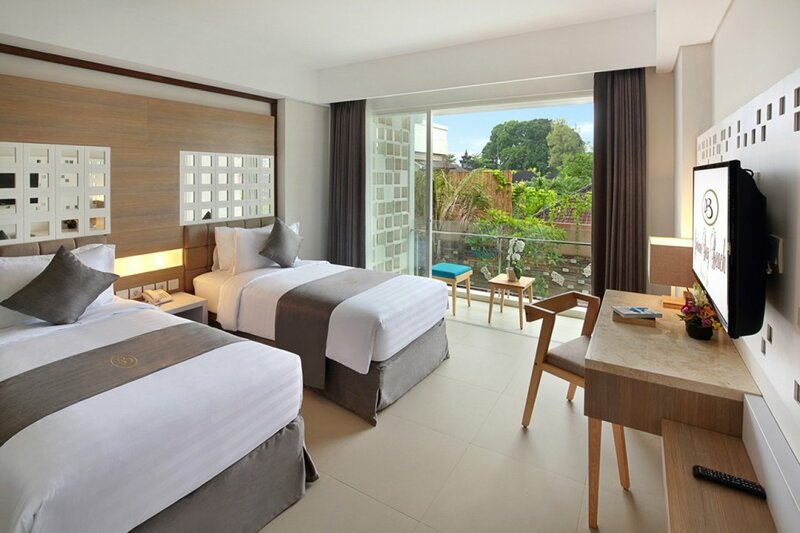 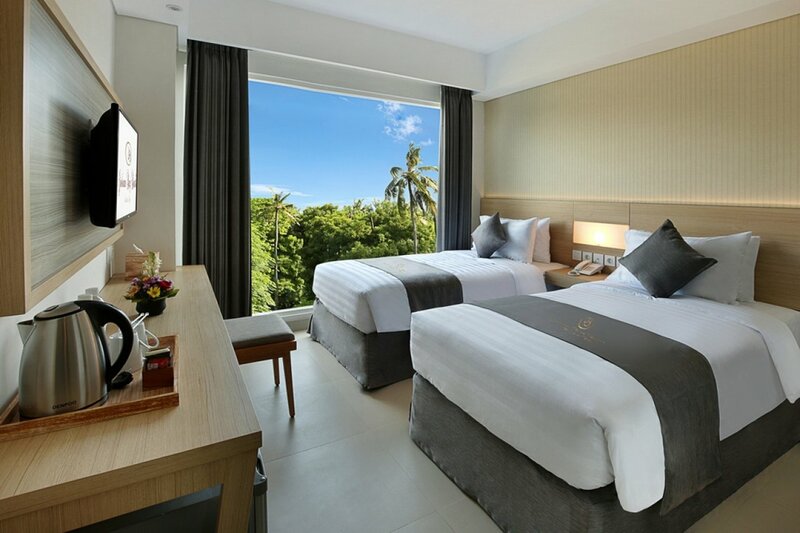 The compact 22sqm Manukrawa Room is furnished with a queen bed or twin beds (subject to availability upon arrival). 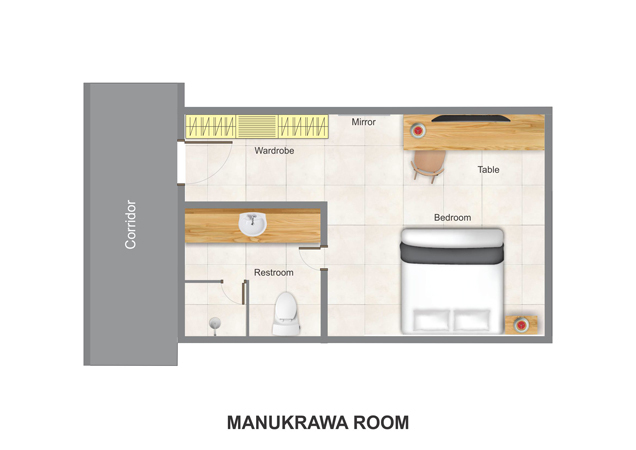 The compact 22sqm Manukrawa Room is furnished with a queen bed or twin beds (subject to availability upon arrival). 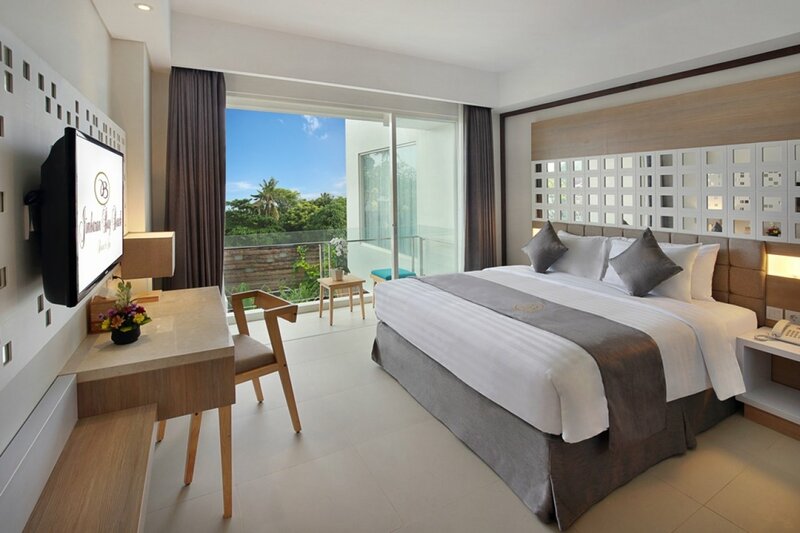 It has a floor-to-ceiling window, which fills the room with light, and an ensuite bathroom fitted with a rainshower. 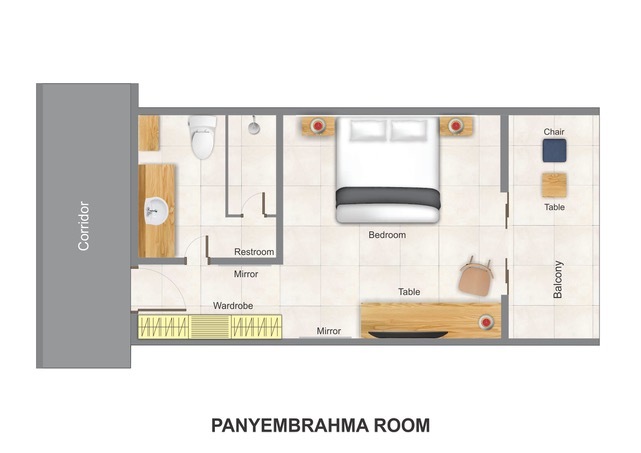 The 29sqm Panyembrahma Room is similar to the Manukrawa Room but slightly more spacious with the additional feature of a private balcony. 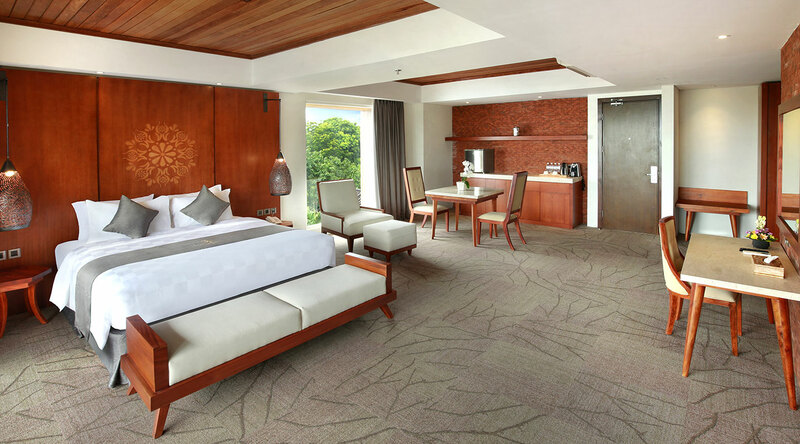 The 29sqm Panyembrahma Room is similar to the Manukrawa Room but slightly more spacious with the additional feature of a private balcony. 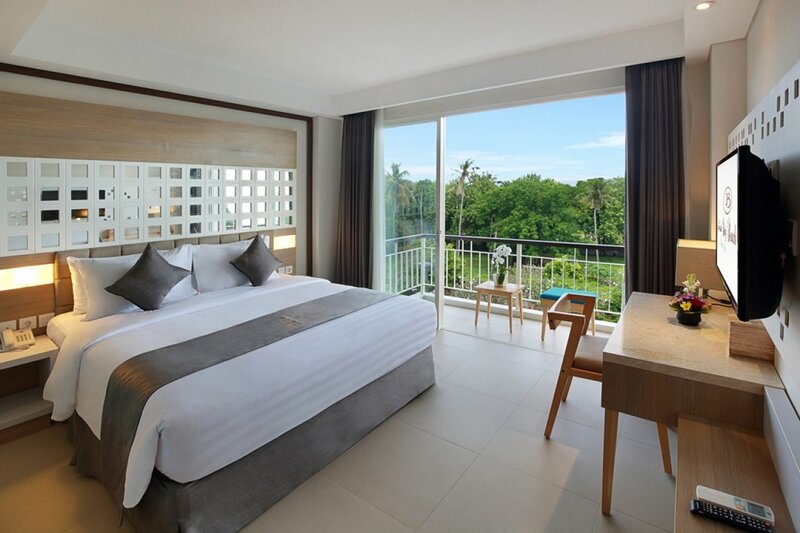 The room is furnished with a queen bed or twin beds (subject to availability upon arrival). 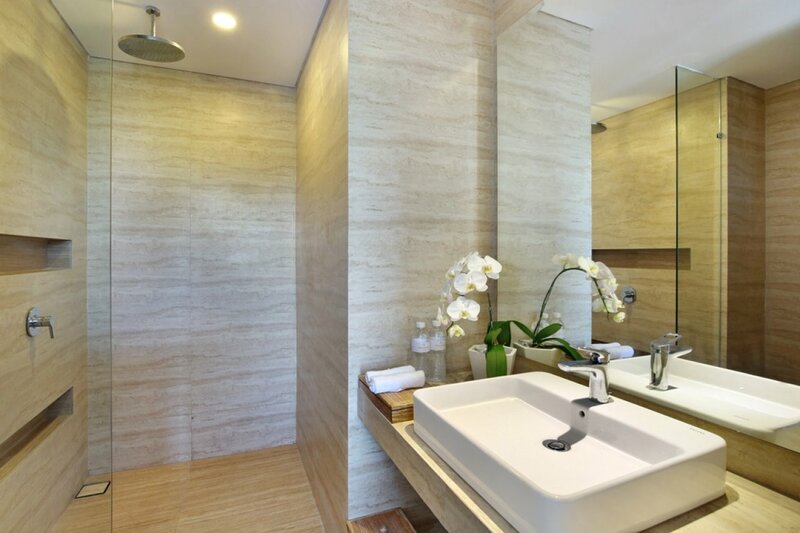 The ensuite bathroom is fitted with a rainshower. 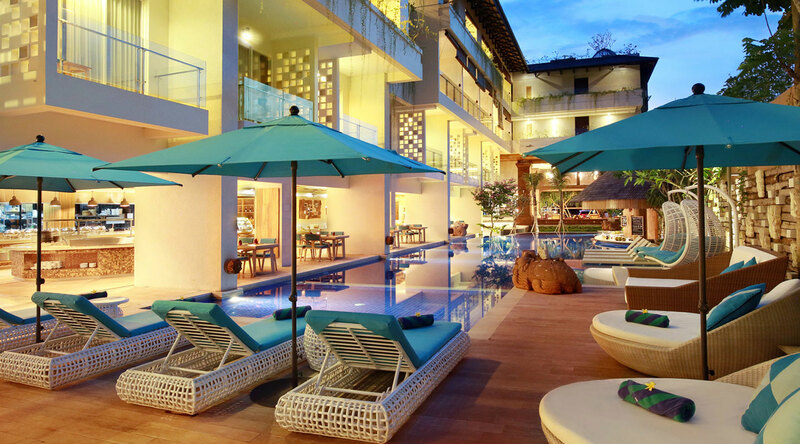 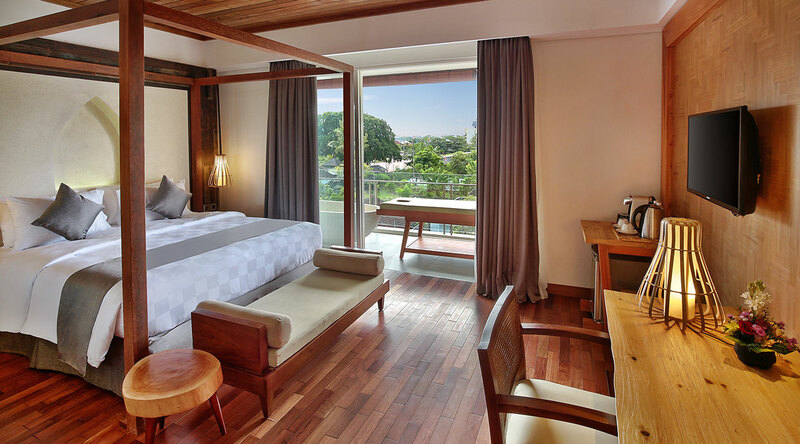 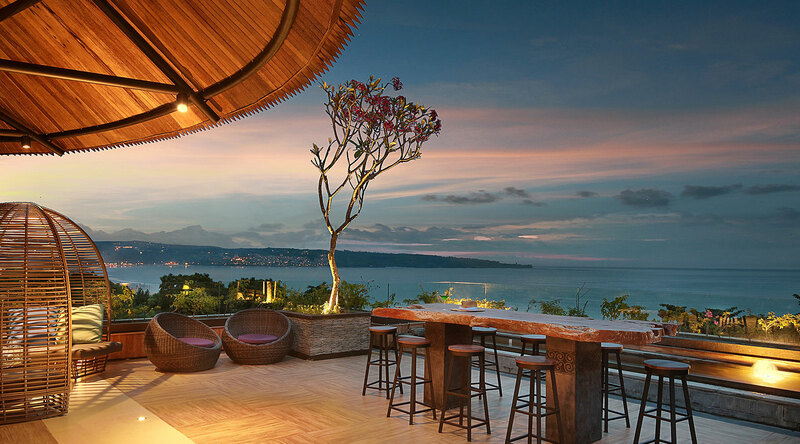 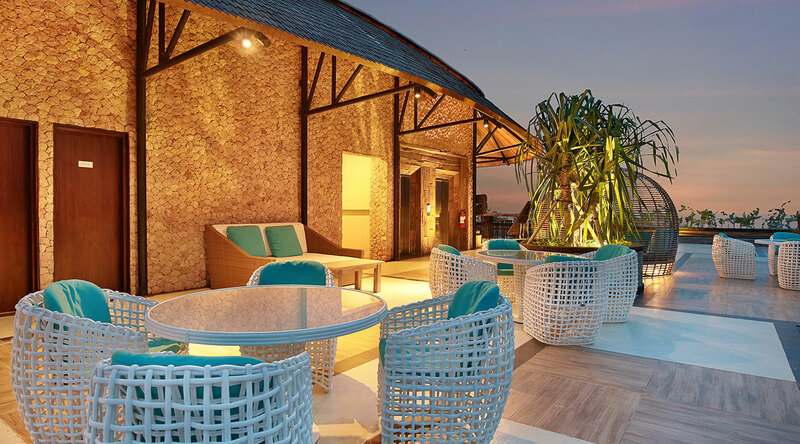 Furnished with a queen bed or twin beds (subject to availability upon arrival) and characterised by a wooden wall panel accented with decorative mirrored features, the Tarunajaya Room measures 29 sqm and has a balcony with an ocean view to one side. 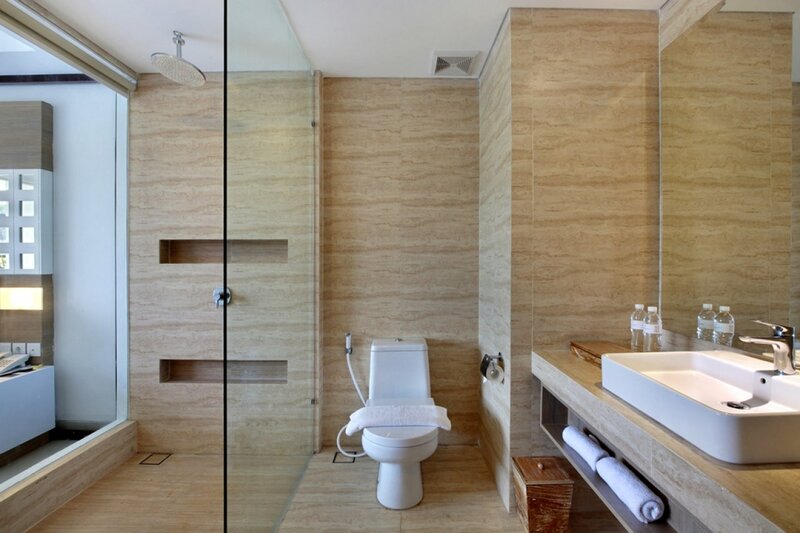 The ensuite bathroom is fitted with a rainshower.